Bones from the giant mylodon – a one ton, 10ft long, shaggy, bear-like creature – are wanted back by the Chilean authorities. Calls for the exhibits that came to the UK in 1897 for “research” never to be returned is the latest heritage tug-of-love controversy to confront British “colonial” museums. The Greeks continue to call for the return of the Elgin or Parthenon Marbles which are on display at the British Museum and, this summer, eight tiny 5,000 year old artefacts “looted from Iraq” during the Gulf War were sent back from London. Now a creature whose bones nestle among more than 250,000 prized objects in the Natural History Museum’s vast collection are to be top of an agenda about repatriation of national assets. Chilean heritage minister Felipe Ward is travelling to London later this month and will be asking for the remains of the mylodon to be handed back. “We hope to have talks with the museum authorities... and seek to repatriate the mylodon's remains; these are bones and skin that are in storage, not even being exhibited,” said Ward this week. The Natural History Museum in Kensington describes the Mylodon relics as a “significant highlight” of its South American collection, hailing from a cave in Ultima Esperanza in southern Chile. German explorer Hermann Eberhard first came across the 600ft long cave in 1895, finding what he believed was a “fresh piece of skin” from a mysterious mammal and drawing other European adventurers to the site. The following year a Swedish geologist also explored the cave and determined the remains were from a mylodon, which had lived between 10,000-13,000 years ago, becoming extinct at the end the Pleistocene period. 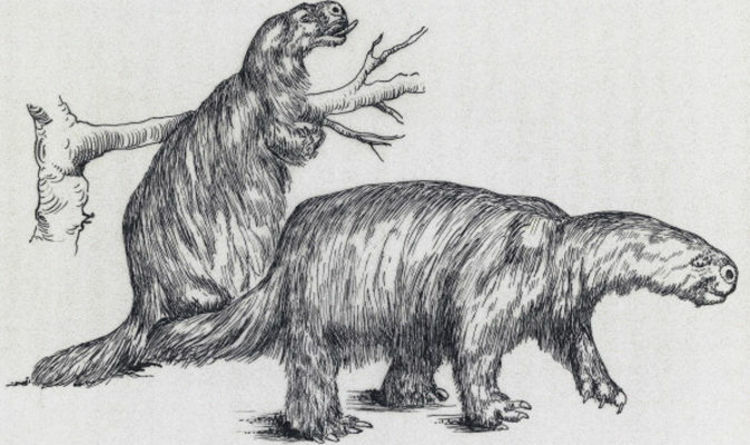 Mylodons were genus of ground sloths, grazing in open areas and adapted to life in cool, arid climates. Charles Darwin was one of the first scientists to find a mylodon fossil when he discovered a jaw bone in Argentina during his 1830s HMS Beagle expedition. A life size replica of a Mylodon today sits proudly at the entrance of the cave, which is more than 2,000 miles south of the capital, Santiago. Yet Chilean officials want the real thing and have written to Natural History Museum for talks. Also high on agenda when the party arrives in the UK will be another relic now standing proudly in London but wanted back by its indigenous people. A delegation from Easter Island will be travelling with the Chilean officials to ask for the return of a 1,000 year old “moai” stone stolen by the crew of the Topaze in 1868 and which is now in the British Museum. Today the Natural History Museum said it is still waiting to hear from Chilean authorities after being approached earlier this year. The museum says its collections are made available not only to the public through exhibition but also for national and international scientific collaboration with museums and universities through tens of thousands of items loaned each year, hosting of thousands of scientific visitors to use the collections, and millions of data items downloaded.